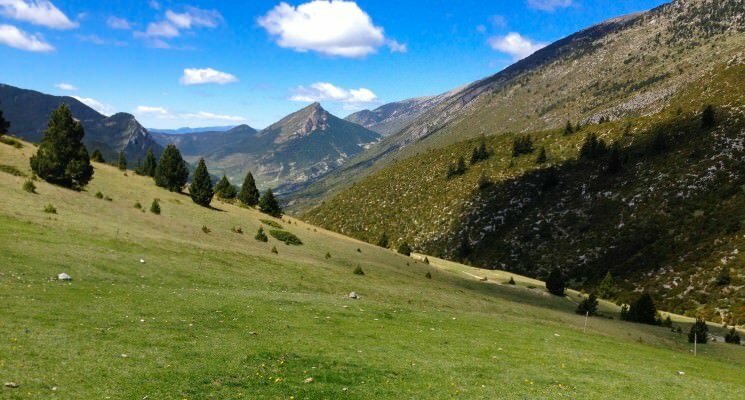 Our hosts at the fabulous Cerdanya Resort drove us six kilometers out of town and dropped us near an access point to the trail in the La Llosa valley. Since this day’s hike begins and ends in Prullans we planned to hike for about an hour north, to a nearby waterfall, and return to our starting point and make our way back to the hotel. And so, our Cami dels Bons Homes adventure had begun! And what an adventure it would turn out to be. 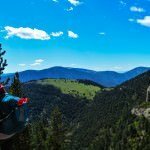 Filled with incredible natural beauty, tranquil solitude, stunning views, and some challenging segments of hiking the “Path of the Good Men” is easily one of the coolest experiences we have had in the last sixteen months of travel. Enjoying a little waterfall action. With a early morning spring in our steps we followed the trail north, on a valley floor pathway that was sandwiched between a river to our right and a vast field of wildflowers to our left. Much of this portion of the trail was flat until about an hour into the hike where it veered right and began a mild incline. 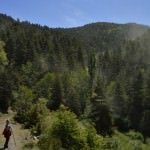 We quickly became accustomed to looking for the horizontal white and red blazes that marked the Cami (or the GR107) as it is referred to on trail maps, as the path was sometimes intersected by other hiking routes. 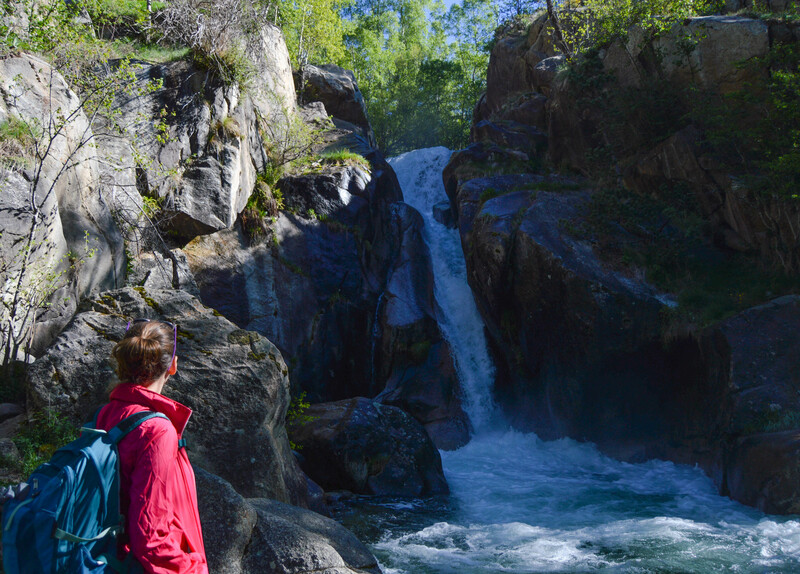 Eventually the trail brought us to a serene waterfall with crystal clear water rushing over large flat topped boulders. The trail continued over the base of the waterfall where we cross a brightly painted yellow wooden bridge. On the other side we discovered a large open field and basked in the morning sun while enjoying the sounds and sight of the waterfall. We returned back down to the trail toward our starting point. Earlier we spotted a small village, Viliella, overlooking the valley and decided to make a detour to visit it on the way back. The path to a dusty dirt road leading to the village was not hard to find from the actual Cami, and we followed it uphill for a kilometer or so. Once we arrived in the quite village we were welcomed by the proprietor of a small restaurant and enjoyed a cup of coffee in their outdoor patio while admiring views of the valley. 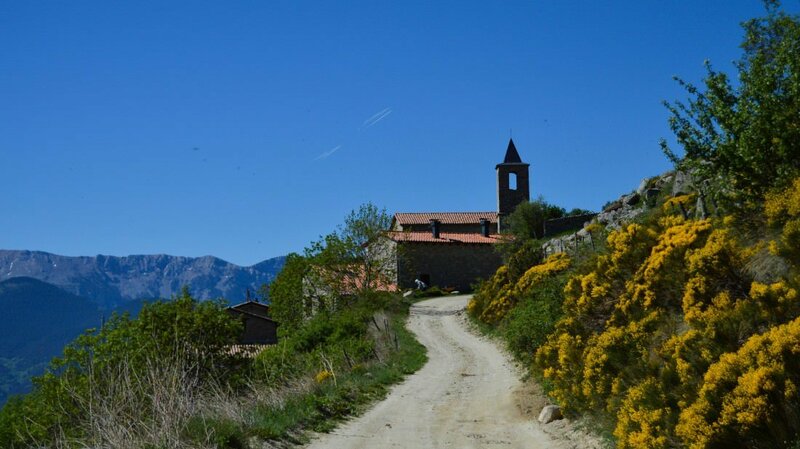 Tiny Spanish villages are always a pleasure to visit, and this one was no exception. Well worth the 90 minute or so detour. 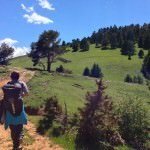 We took a a different route back down to the Cami, walking through blooming yellow wildflowers on a small, poorly maintained goat trail. 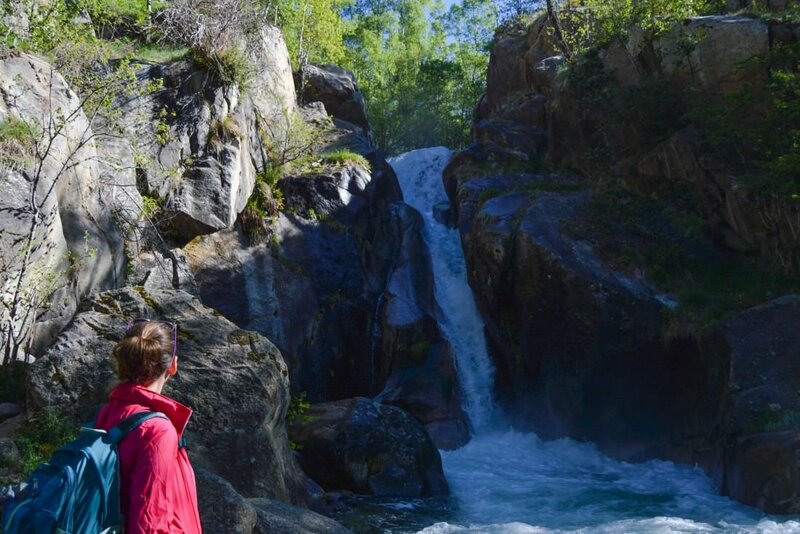 Once back at the original starting point we followed the trail as it meandered through the woods alongside a small river in the direction of Prullans. 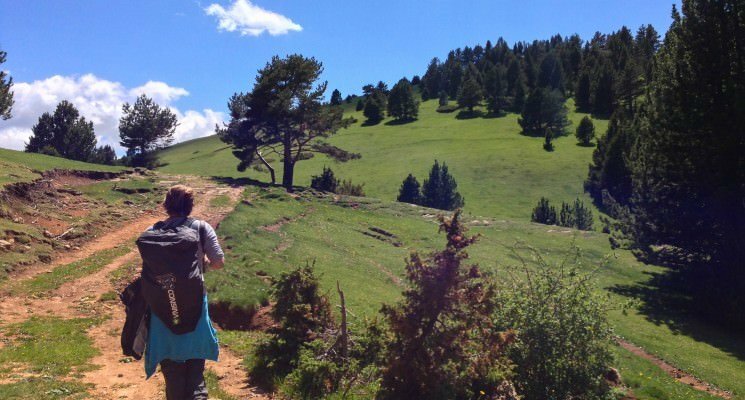 We gradually began to gain elevation, walking out of the forest as the trail ran up alongside the valley. 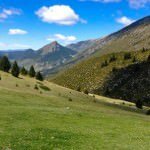 The views along this portion of the trail were phenomenal, and whet our appetite for what we might see in the coming days while on Cami dels Bons Homes. 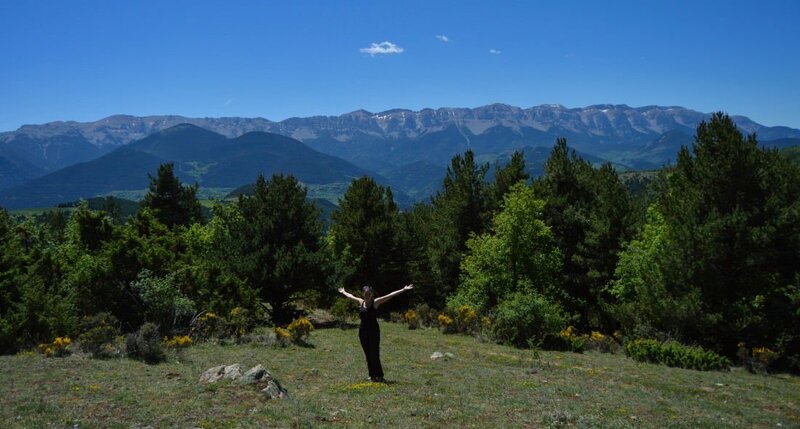 We LOVED Cerdanya Resort – Hotel Muntanya & Spa in Prullans. The hotel, which opened in 1947, has been in the same family for generations. The resort offers a wide variety of accommodation options from traditional hotel rooms, apartments, bungalows, and campsites. 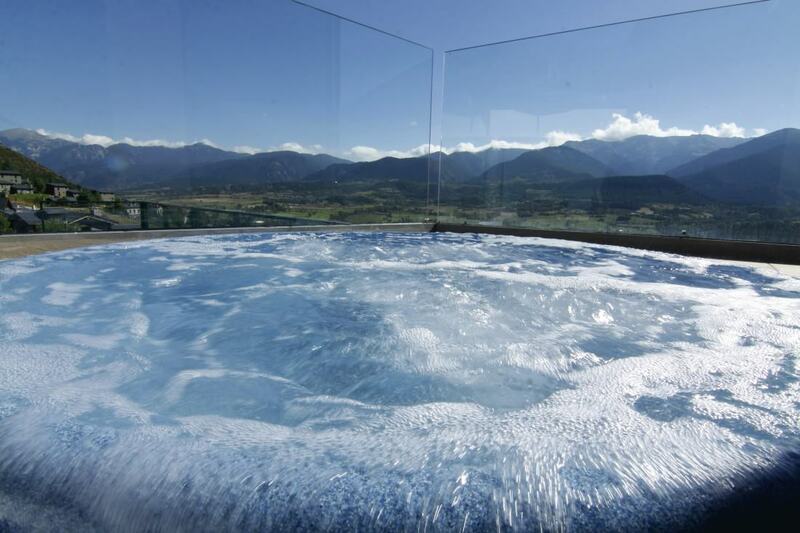 Out of respect for its natural surroundings Cerdanya Resort has used solar thermal panel for energy since 1975. 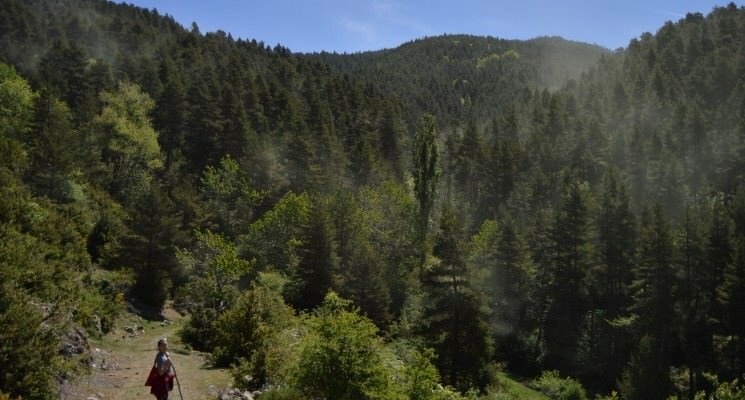 The hotel has an excellent spa with an aromatic biosaunas, a Finnish sauna, steam room, tranquility pool, an outdoor jacuzzi with panoramic views of the Pyrenees, a hydration bar, and a water mist passage way that massages your calves. It is a beautiful and tranquil setting to pamper yourself before or after an intense hike. The hotel offers a huge breakfast buffet with everything you will need for the upcoming day, including cereal, breads, cooked options, fruit, chocolate, salads, and coffee, tea, and juice. Most evenings during high season the hotel also has a delicious dinner buffet with soups, salads, breads, main courses, and dessert, wine, beer, and coffee. 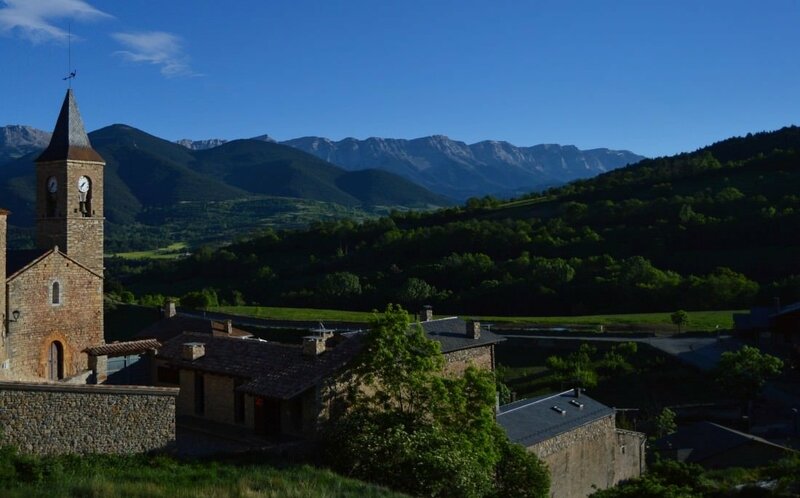 On friday evenings the Cerdanya Resort serves up a real Cathari dinner, letting guests experience the foods and flavors of the Cathars, who were among the first “vegans” in recorded history. Like This Article? Why Not Share it on Pinterest? 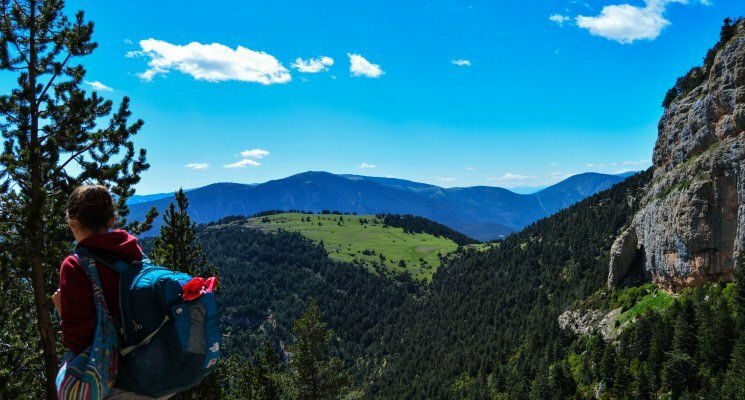 DISCLAIMER: The Cami dels Bons Homes Regulatory Counsel was kind enough to organize our five day hike, much of our transportation, accommodations, and meals. We are immensely grateful for their partnership. All thoughts and opinions are our own and formed without any prior agreement of a favorable review.